This protein-packed, post-workout beverage has the perfect combination of protein, fat, and carbs. 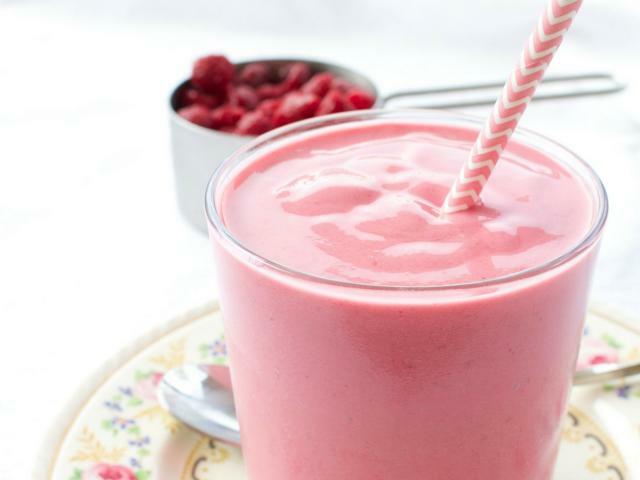 The natural sugars come from the raspberries, cottage cheese, and milk. If you want to cut back on some of the added sugar, halve the honey or cut it out completely, but remember: Post-workout, you should consume some source of carbs to replenish the stored carbs your muscles have burned.